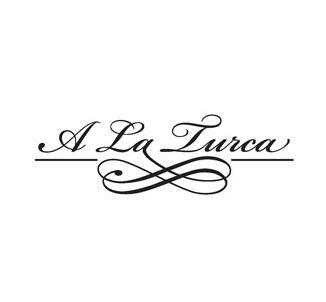 Sophistication, sweeping views plus extensive range of international cuisines and Turkish savories are the top highlights of A La Turca restaurant. This wonderful fine dining restaurant is tucked in the ground floor of recently established accommodation facility called Rixos the Palm Dubai on famous Palm Jumeirah island of Dubai. This bistro has been able to make its mark because of its highly delicious and top quality food that has the people of Dubai of their feet. Therefore, today if food devotees in Dubai like to savor authentic Turkish and Arabic fares they beeline to A La Turca restaurant. Because, this is the best venue that can fully sate and satisfy their craving for these cuisines in their luxuriously decorated interiors and outdoor area with an extremely pleasant atmosphere. A la Turca offers Turkish delicacies along with international fares in their buffet breakfast, whereas its lunch and dinner buffets comprises of extensive variety of Turkish dishes, which belong to Eastern Anatolia, Aegean and the famous Turkish grills, mezzes, kebabs and home style cooked treats of the Black Sea. In addition to this, an international a la carte menu is also served to the guests upon order during lunch and dinner hours. The drinks menu of this eatery is also wide-ranging, as it includes fine assortment of juices, mocktails, smoothies along with comprehensive range of other beverages. To the extent entertainment is concerned, guests will get to enjoy live music performances on every evening and throughout brunch hours on Fridays. Apart from this, guests can also take pleasure in sheesha smoking at this establishment after having their food, as smoking is allowed in the outdoor area of this eatery. Time for Breakfast Buffet at this restaurant is from 07:30 to 11:00, for International Lunch Buffet food is served from 12:30 to 16:00, whereas International Dinner Buffet begins at 19:00 and ends around 23:00. Brunch on the other hand is dished up only on Fridays between 12:30 and 16:00 hours. Right Cresent Palm, Rixos the Palm Dubai - Dubai - United Arab Emirates. A la Turca restaurant in Rixos the Palm Dubai is located far away from any bus stop and metro station of Dubai, as it is to be found on the Right Cresent of the famous Palm Jumeirah island. Therefore, car is the best bet to reach this establishment.